I got this darling card from my sister this week - She's getting married! Obviously I knew I'd be taking up this role prior to the adorable Rifle note coming in the mail. 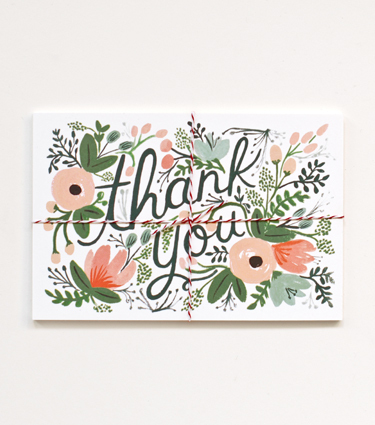 I did a quick spin through their site today and LOVE these Thank You Note cards! !